What is SEL Athletics All About? The C.A.R.E. Foundation stands for the many programs they sponsor in Career, Academics, Recreation, and Exposure. Under ‘Recreation’, The C.A.R.E. Foundation founded SEL Athletics. SEL stands for Social Emotional Learning Athletics. SEL Athletics uses sports based character workshops as a vehicle to assist youth in learning life skills such as identifying their feelings, being responsible, managing emotions, showing empathy, respecting others setting goals as well as an appreciation for cultural diversity. If youth are confident decision makers, caring problem solvers, and competent relationship builders, they will be more successful in sports, school and life. In 2014, The C.A.R.E. Foundation is working with the Gardere Youth Alliance Sports League and we are always looking to expand our resources both locally and nationwide. 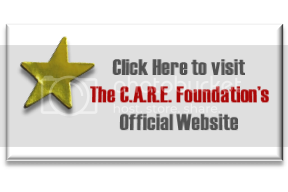 To find out more about The C.A.R.E. Foundation and what programs we have to offer please contact us today. Remember when you were a kid? Of all the things you wanted to be, did you ever consider engineering as a field? Yet, nearly every child seems to innately know how to make a paper airplane. We invite you to explore feats of engineering and challenge others to do the same and be sure to post your results to our Facebook or Instagram pages. We’d love to hear your results! Our goal: To rediscover that sciences and engineering and have fun with them. Exposure and exploration (not matter how small) can influence anyone’s interests or passion. Our goal is always to positively influence both teen and adults minds about careers in STEM. Okay, so there isn’t much of a career in paper tricks, but changing your mind and how you feel about engineering (or any STEM related field) could mean all the difference in everyone’s world: making it a better place!